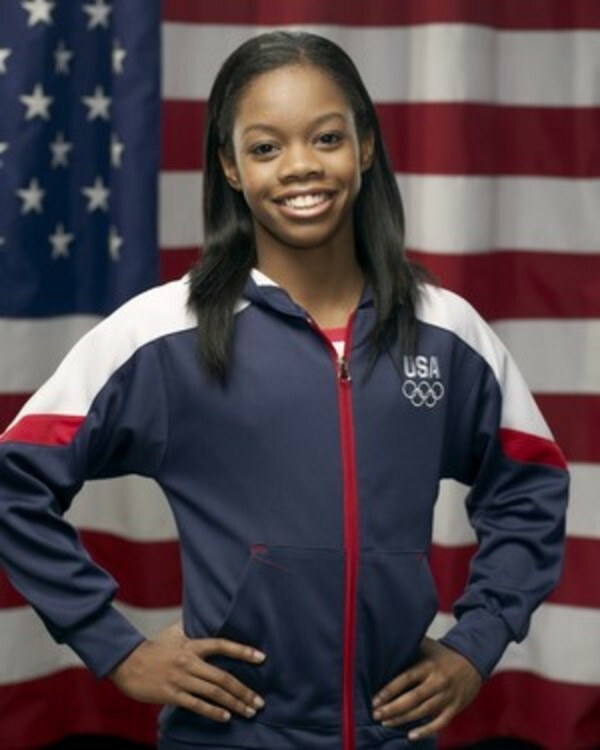 For 16-year-old Gabby Douglas, all it took was moving over 3,000 miles away from home at the ripe age of 14, training six days a week (twice a day for three out of those six days, by the way) and, oh yeah, eating a balanced diet, to clutch not one, but two Olympic gold medals. This tireless athlete, also known as "The Flying Squirrel," won a gold medal in the women's team finals and women's individual all-around competition. She may have a megawatt smile and bubbly personality, but this pint-sized powerhouse knows a thing or two about hard work. She describes her typical workout routine in this video. Her list of jumps, strength training, and running through obstacle courses in her gym wears me out just listening to it! Some would be tired after the 100 crunches, but not this firecracker. Douglas’s mother said Gabby was the only one of her four children that she couldn’t keep from doing flips off the furniture, and even then it took her four years to enroll this mini-Dominique Dawes in gymnastics classes. But it’s not all physical for this gifted athlete. What is her secret to a strong body and mind? Perseverance. It’s no secret that Douglas experienced a moment of weakness in the winter of 2011 after her family came to visit her out in West Des Moines, Iowa, where she trained with renowned coach, Liang Chow. Douglas told her mom that she wanted to quit and come home, and Douglas’s mom, who was originally against the move, said no. So how did Douglas react to her pre-competition jitters? The athlete reportedly texted her mom saying: “Mom, I need a pep talk.” Looks like even a gold medalist needs a little mental support now and again.